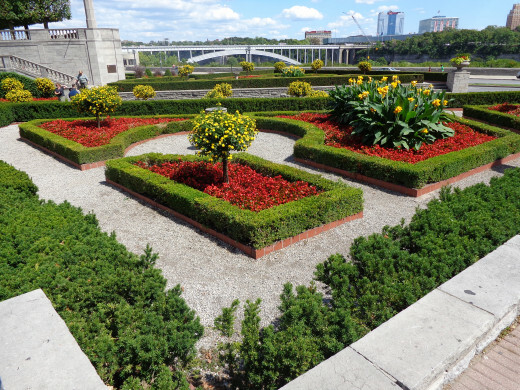 No trip to Canada would be complete without visiting Niagara Falls and its surrounding attractions. Niagara Falls is not only beautiful, but breathtaking as well. 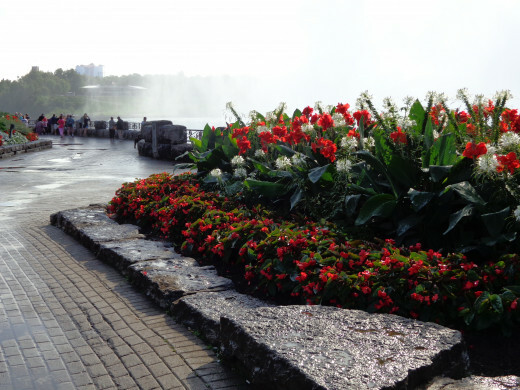 In addition to the Falls, there is also much to see and do in and around Niagara Falls. 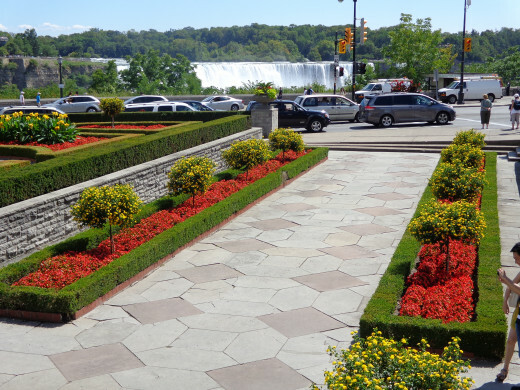 First, let’s look at some pictures of the actual falls and the beautifully landscaped flowers which surround the Falls area. 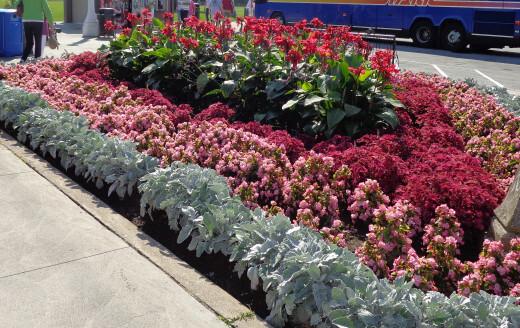 Note: These photos were taken during a trip to Niagara Falls, Ontario, Canada, in August, 2012. 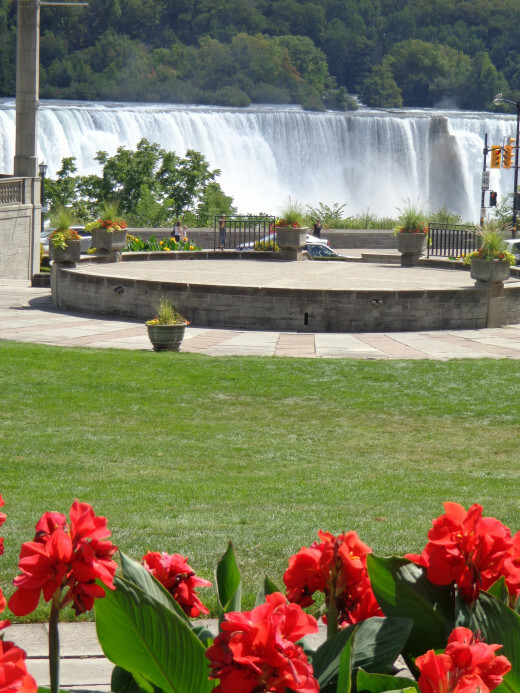 Lies on the American side; Goat Island is in the middle of the Horseshoe Falls and the American Falls. 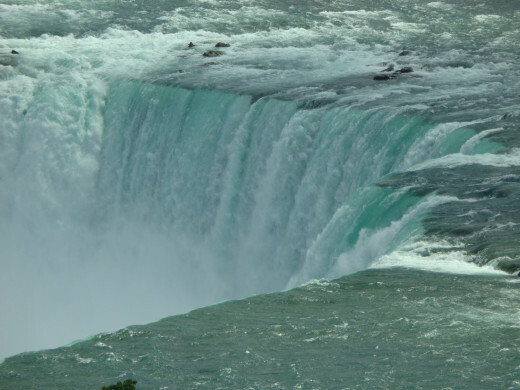 Niagara Falls is located between the borders of Ontario, Canada, and the state of New York, America. Water is diverted mostly at night via tunnels for attraction purposes. Some erosion has been lessened over years via dam and tunnel water diversion. 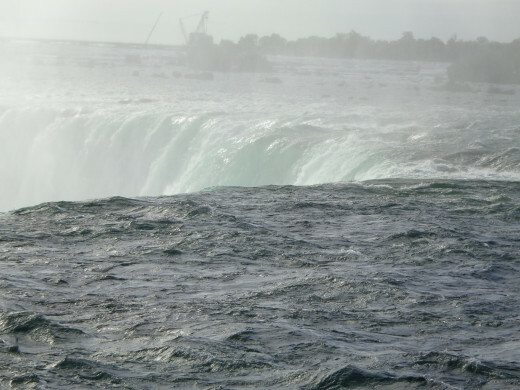 There is tremendous power generated by Niagara Falls. 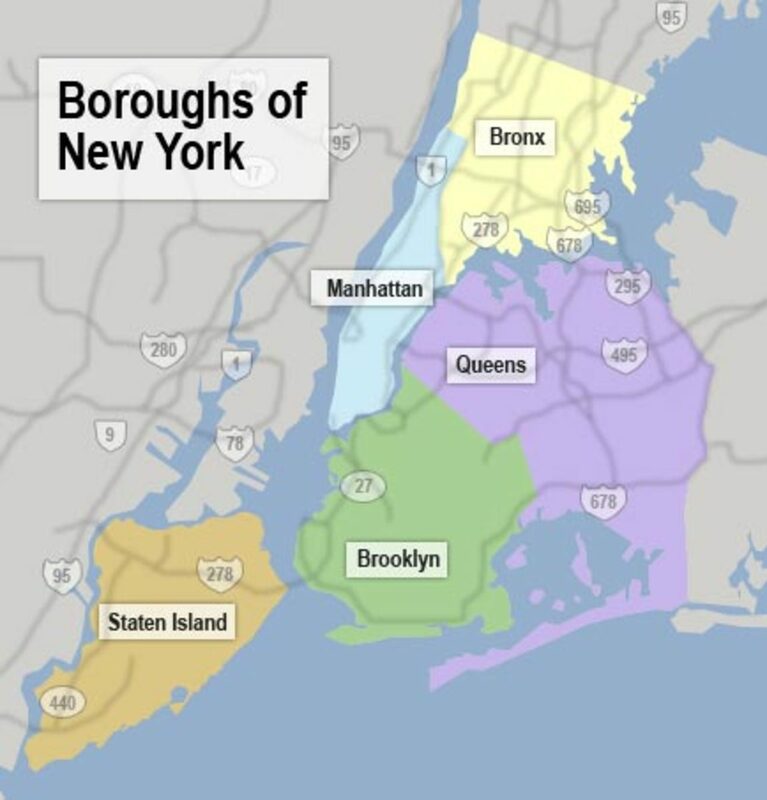 The Niagara Plant, which consists of the Robert Moses Niagara Power Plant and the Lewiston Pump-Generating Plant generates powers most of NY and southeastern Canada. Water from the Falls comes Lake Erie, then eventually goes to lake Ontario then to the Atlantic Ocean. A barge stuck the Falls in 1918; 3 men were injured but survived. 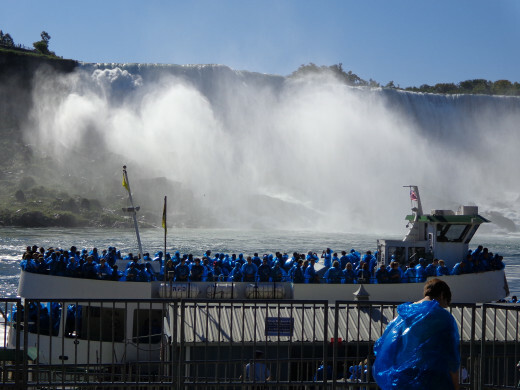 While visiting Niagara Falls, be sure to go on the Maid of the Mist boat tour. 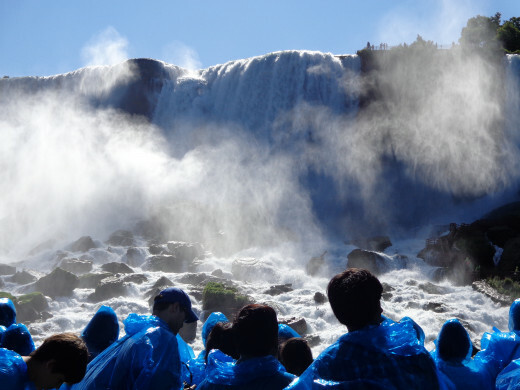 You will ride past the American and Bridal Veil Falls, and then ride into the mist spray, inside the curve of of the Horseshoe Falls. Plastic ponchos are provided for all passengers. This is a breathtaking ride you won’t want to miss. Experience the thrill of the ride, the awesome scenery, and the spraying mist! 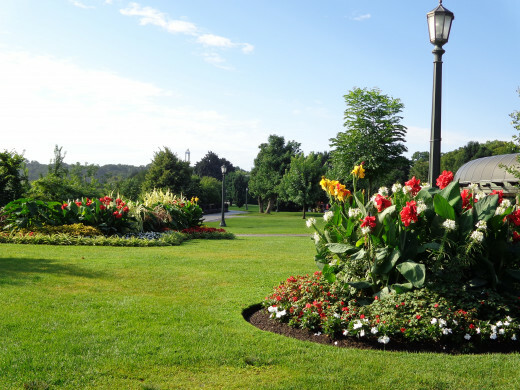 Niagara Parks’ Botanical Gardens was established in 1936 and is located 10 minutes north of Niagara Falls. 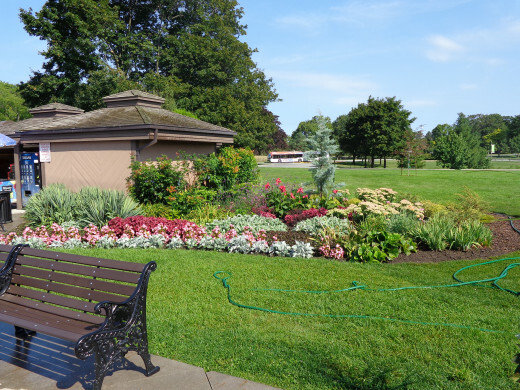 It is comprised of beautifully manicured gardens on 99 acres, and is maintained by the Niagara Parks horticulture staff. 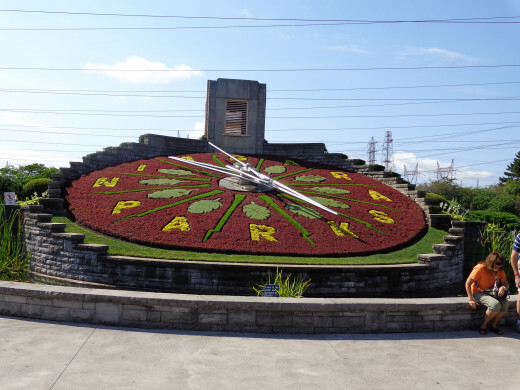 Also part of the Botanical Gardens is the Flower Clock, which is created using up to 16,000 bedding plants. 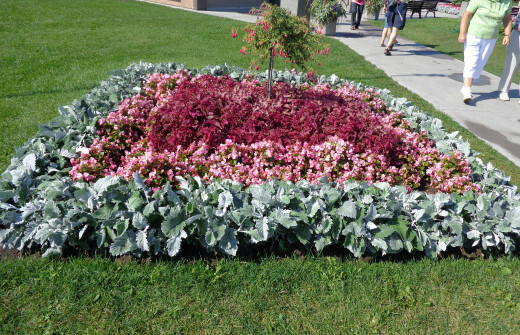 The floral design is changed twice a year. 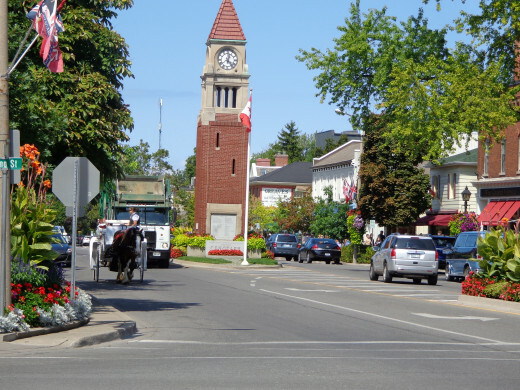 Niagara on the Lake is a one of the prettiest towns in Ontario. 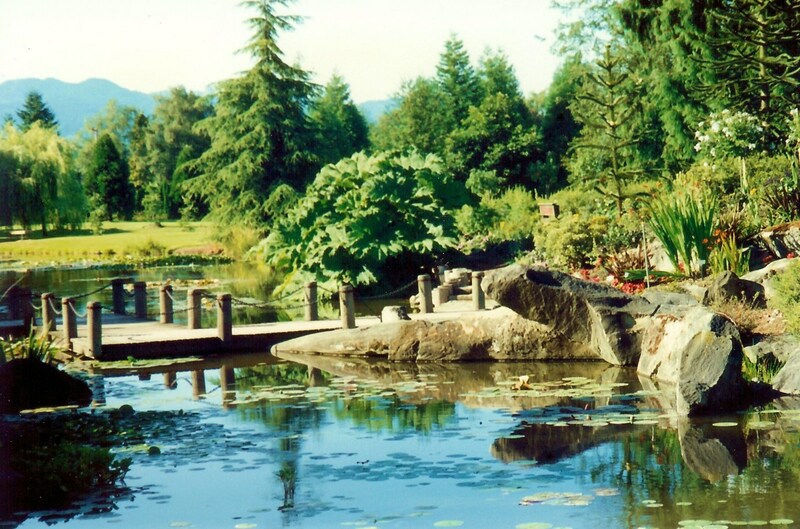 It is very scenic and great to visit, packed with shops, restaurants, and of course, a beautiful lake. 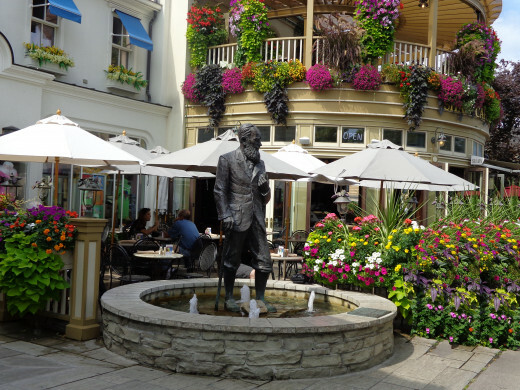 In the town of Niagara On the Lake, there is a status of John Bernard Shaw, Irish playwright and co-founder of the London School of Economics. His main talent was in drama, and he wrote over 60 plays. 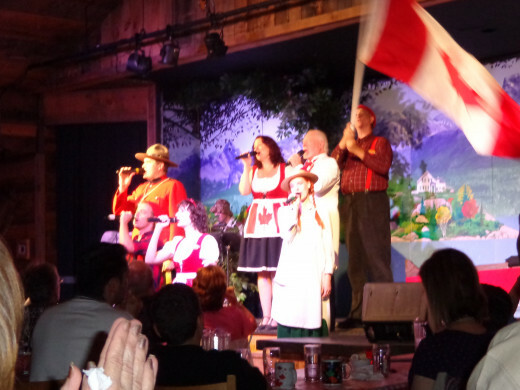 The Niagara-on-the-Lake theater specializes in plays by Bernard Shaw. Have Your Been to Niagara Falls? Yes, on the Canadian side. Yes, on the American side. These are beautiful photos! 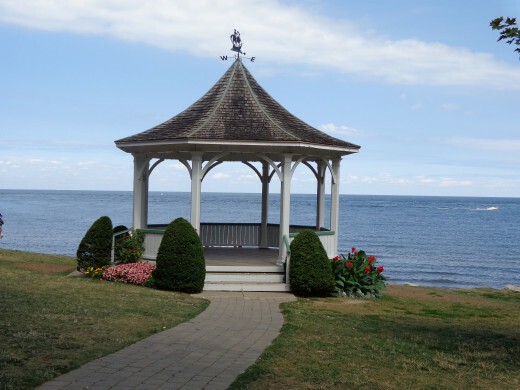 I visited on the Canadian side during my second year of marriage. Standing next to the falls is a powerful, awesome feeling. The power of the water is astonishing. It's simply a breathtaking experience to see them in real life. You've shared such interesting facts as well. Annie Taylor must have been quite a woman to go over the falls in a barrel. I can't say it's something I would want to do! 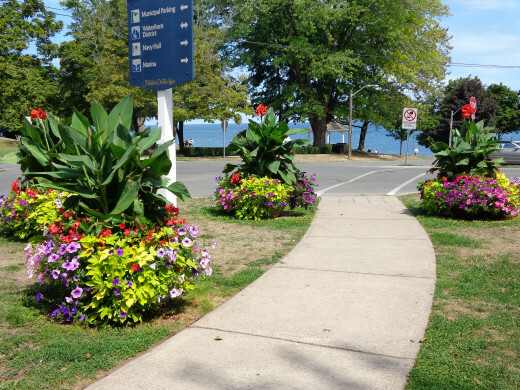 I love also the pics of the gardens and Niagara by the Lake. Wonderful hub. Glad you enjoyed, poetryman, it's definitely a great place to visit! 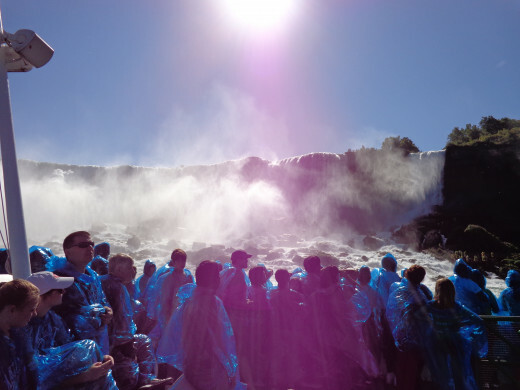 I have been to Niagara Falls on both sides a couple of times, and the last time was in early March. There was a lot of ice and it was just as beautiful. Your hub is terrificc. You gave us a lot of pertinent information and the pictures are gorgeous. Thanks for your comments, Diana Lee. It was my first visit, so I was pretty amazing at the Falls. 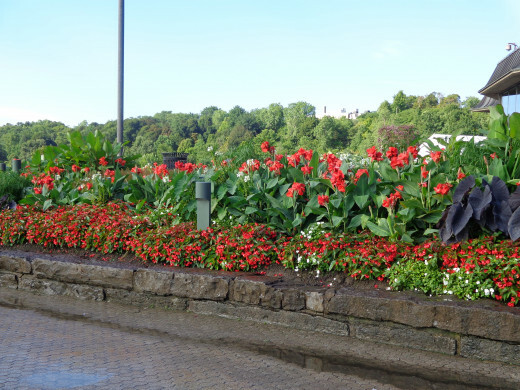 I was also surprised to see how many attractions and things to do near and around Niagara Falls. That upside house was something we noticed when walking around the see the sights and it kind of caught us by surprise. It was pretty cool, among many other things in the area. 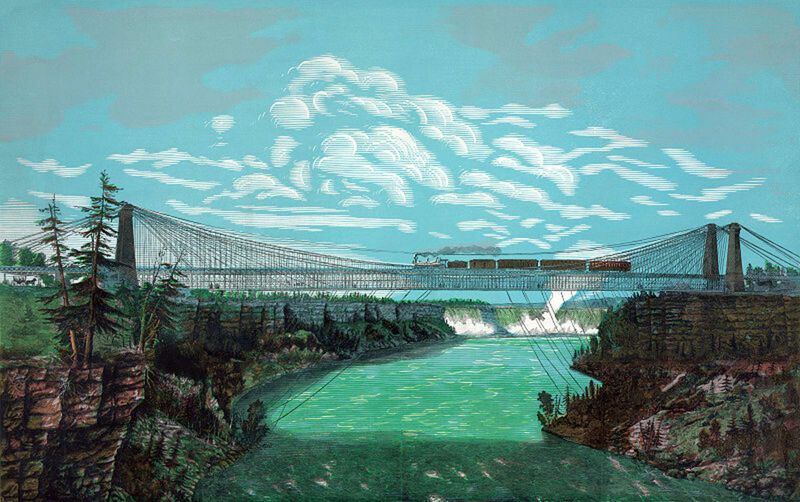 I love Niagara Falls and have visited there since the late 60s. You have some amazing pictures here. It has been a few years since my last visit so I am always interested to see new stuff. 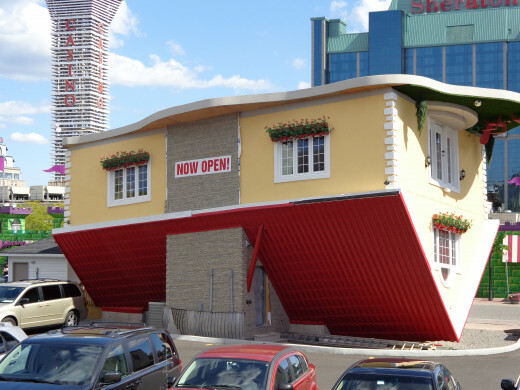 I don't remember the upside down house. I wonder how they did that? Voted up. Thanks for your comment, Rafig23. I'm glad you liked the hub and I guess you can say pictures are the next best thing to being there! Nice presentation of Niagara Falls! Though I won't be able to visit it, yet I can dream about it. Thanks Easylearningweb! Great pictures that show the glory of Niagara Falls that will encourage anyone to visit. I only live about 15 minutes from the Falls, so I consider it home. The next time you visit take a stroll down into the Gorge on either the American or Canadian side. I appreciate your comment, and glad you were also able to visit the spectacular Falls. Thanks for the thumbs up! Thanks for voting. 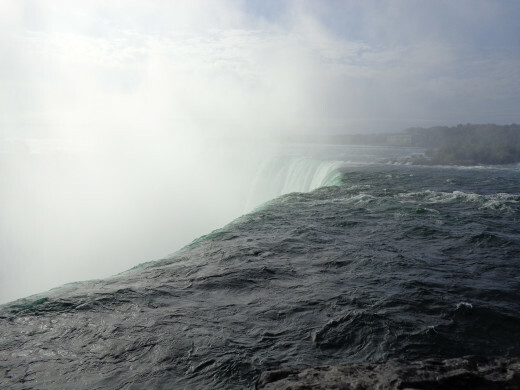 I didn't think of that answer, and glad to hear that you visited Niagara Falls. 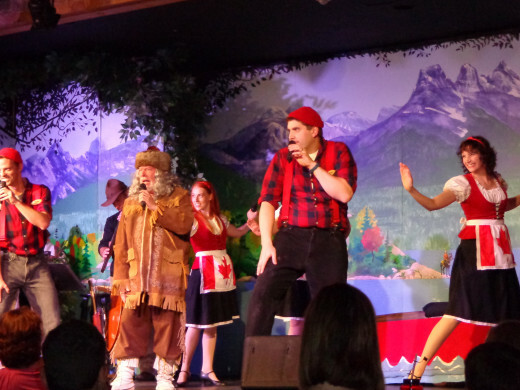 I had heard there was more to see and do on the Canadian side, so I opted for that side. Glad you enjoyed the photos! I voted that I have seen the falls from the Canadian side but I have also seen them from the American side. I remember them as a child when traveling with my parents. Loved viewing your photos! 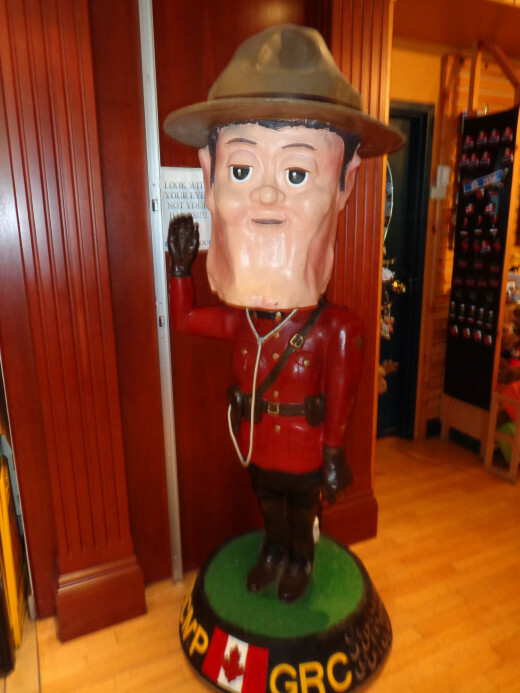 This is a great depiction of Niagara Falls easylearning web, as I visited Canada and Niagara falls last summer. Absolutlely amazing. Thumbs up on your hub.